My name is Steve and I have been into racing for most of my life. Mostly drag racing Gassers and thought I would check out the faster cars... My buddy just gave me the task of selling his car the Green Monster jet car. I was thinking about buying it and possibly rebuilding the car or just sell it and buy a new car. 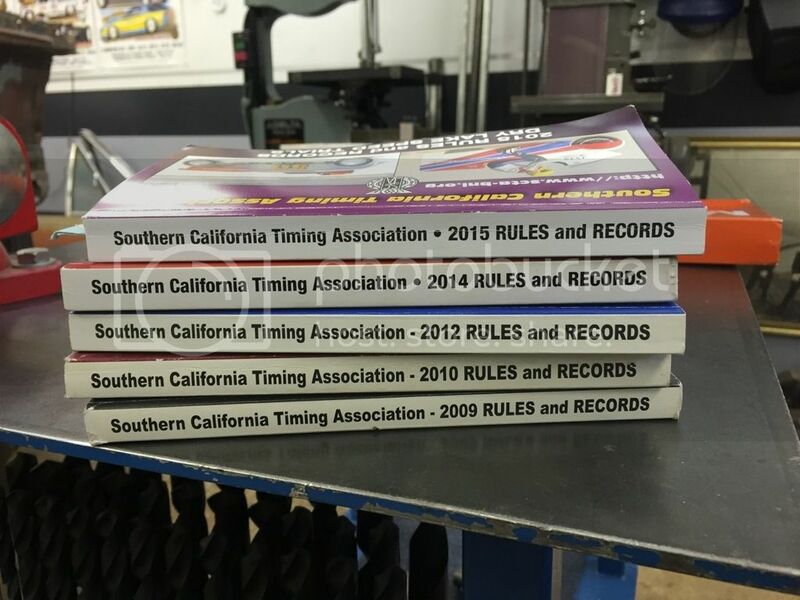 Do you know of some good places in California to race? being used, and none of them are limited to 1/8 mile timed runs. but now only 1/8 mile). I doubt that any of the listed drag strips accept trust powered vehicles at this time. I know that neither the SCTA(El Mirage) nor BNI(Bonneville) accept thrust vehicles. This car is very far from what a current jet powered drag car is. Welcome aboard, keep us posted on your build. Saw that 37-foot Austin on the trailer last weekend. Didn't look that big. That is one tall cage. If the 37' Austin is really a '37 Austin , than I hope that's all I do backwards .. "...I hope that's all I do backwards .. cheesy cheesy"
Wait a minnit. I'm a bike guy and even I know that if you're racing a roadster you will learn about - circular braking techniques., if you will. The key to riding high in the saddle is to own a short horse. Nice to have another LSR project going on in Tucson. My name is Eric Engle and I live in La Grange Park, Illinois, a western suburb of Chicago. I'm 48 years old. Over the past 10 years I've spent a lot of my spare time in my garage working on turning what was a rusty 1970 Plymouth Road Runner into a car fit to run on the salt at Bonneville. I've made steady progress, but I still have a way to go. I attended the World Finals as a spectator in 2010 and I loved it. That experience confirmed for me that participating at Bonneville was something I really wanted to do. I plan on being at the next event to spectate, study the cars and talk to people. I've lurked on this site for a couple of years and learned a lot. I thought I should finally register and say hi and thank you for sharing your knowledge and helping people that want to participate in land racing like me. Sure is good to see someone with their library intact while getting started -- as JD says, "Good luck."